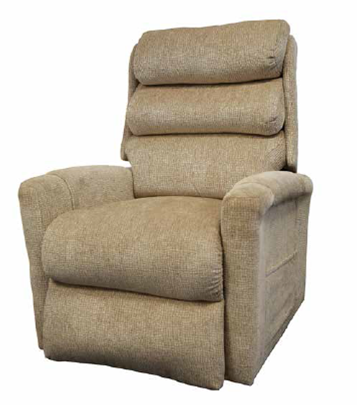 Dual motor lift and recline armchair. Waterfall style backrest, padded legrest, fully padded seat to legrest chaise. Emergency battery backup.